Color(s): white, may have cream shadings Coat: The Bichon Frise has a loosely curled outer coat, which is lined with a soft, silky undercoat. This double coat breed is typically all white is color as an adult, but may exhibit cream, apricot, or gray hairs as puppies. The Bichon Frises coat should not be wiry or overly soft. Distinct feature: The Bichon Frise is lively and animated. They adore being part of a family. Their cheerful attitude is a true measure of this breed. They love to play but are not hyperactive. They thrill on constant human interaction. The Bichon Frise is a delightful and amusing companion. 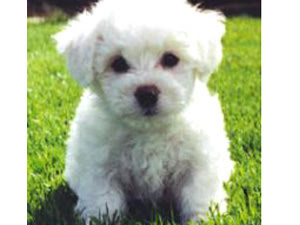 Temperament: The Bichon Frise has an extremely appealing nature. They are highly social and are at their absolute best as full members of a family. They get along very well with other dogs and pets, and are excellent with children. They make good watchdogs and will bark to alert their family to visitors or danger. This breed is inquisitive and energetic, dignified and charming. Activity: This breed is able to fulfill their exercise needs by adapting themselves to family activities. However, this is not a breed for a sedentary lifestyle. They enjoy daily walks and play sessions. They are well suited to apartment living provided appropriate exercise is given. The Bichon Frise loves to run and play in a securely fenced yard.Large Dog Breed Bull Mastiff .. English Mastiff ..French Mastiff.. Neopolitan Mastiff ..Great Dane.. St.BernardMedium Dog BreedAustralian Sheperd ..Beauceron..Belgium Shepherd.. Boxer..Chow Chow..Dalmatian..Dobermann.. German Shepherd..Golden Retriever..Grey Hound..Irish Setter..Labrador Retriever.. New foundland..Pointer.. Rajyapalam..Rottweiler.. Rough Coolie..Siberian Husky..SMALL DOG BREED Basset Hound..Beagle.. Bichon Fries..Bull Dog – English ..FrenchBull Terrier.. Chihuahua..Cocker Spaniel..Dachshund..Jack RusselTerrier..Lhasa Apso..Maltese.. Miniature Pinscher.. Pekingese..Pit Bullterrier..Pomeranian..Poodle..Pug..Samoyed..Scottish Terrier..Shih-Tzu..Tibetan Spaniel..Yorkshire Terrier.. This bichon Fries is very beautiful........I really like it.